Follow a certified mountain guide on this 2-day program in the Pyrenees and enjoy a powder skiing weekend around Andorra and the province of Lleida. 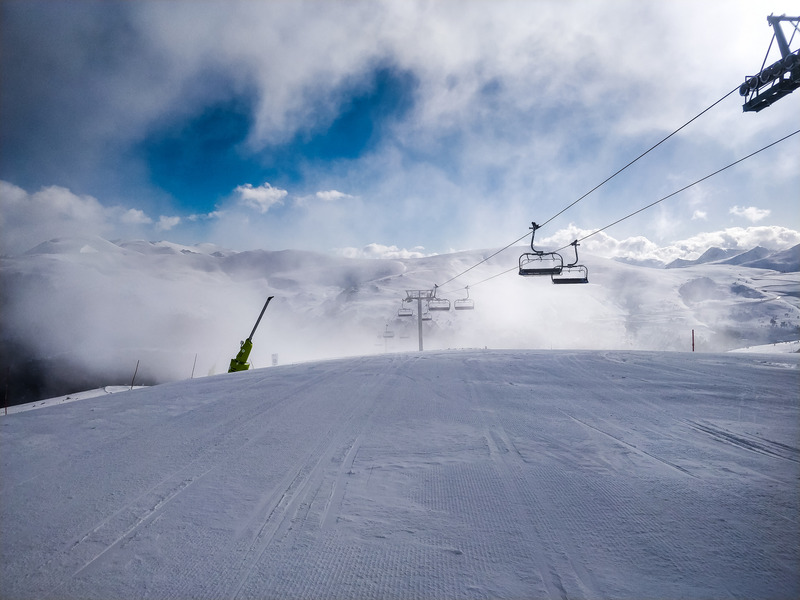 Enjoy skiing in the best powder terrain around Andorra. Spend 2 days or more skiing in the Pyrenees with an expert. Have fun in a camping car or a snowmobile! I would like to invite you to join me on a camping car or a snowmobile to look for the best powder routes in the Pyrenees. 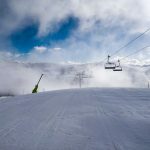 Come with me on this 2-day skiing program in Andorra! On this trip, we’ll enjoy skiing in Andorra, Boi Taüll or Tavascan depending on the powder conditions. These last two locations belong to the province of Lleida, in Spain. During the program, the use of the snowmobiles will allow us to enter distant areas easily. Additionally, it will allow us to return quickly to our lodge. Furthermore, you can add more days to your trip if you wish to extend it. This will allow us to arrange longer programs and explore more powder spots in the Pyrenees. Just contact me about this option and we’ll organize it. Take into account that it’s important to have prior skiing experience and to be physically fit for this program. Of course, I will be there to help and guide you on the way! So, are you ready for this powder skiing adventure? Then all you have to do is send the request and make your reservation. It will be a pleasure to be your guide! You can also take a look at this ski touring traverse that I lead in Carros de Foc, in the Pyrenees. Not included: food, accommodation, snowmobiles and ski passes. Heliboarding - 1 day - Interm.